North Korean dictator Kim Jong-Il was recently seen being chauffeured around town in a $200,000 Mercedes-Benz S600 Pullman Guard. The rest of the country continues to starve. A country torn between war and starvation apparently has no price for leader Kim Jong-Il. The North Korean dictator was recently spotted in China being chauffeured around town in a $200,000 Mercedes-Benz S600 Pullman Guard. 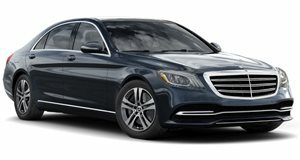 The Mercedes-Benz S600 Pullman Guard is a heavily armored “machine” to say the least. It&apos;s also the only way Kim Jong-Il will travel. Witnesses claim the two S600&apos;s were also fitted with Beijing plates, which is a common practice for cars exported from China to North Korea by air freight. North Korea imported $3,100,000 worth of European manufactured cars through China in 2010. Given the fact that a ton of corn costs only $250, the North Korean dictator could have bought around 13,000 tons of corn to feed his starving people. No surprise here, as this is a way of life in communist or dictatorship run countries. Kim Jong-Il took power in North Korea on July 8, 1994 when his father, Kim Il-Sung, died. He has since reigned over the Asian country with an iron fist. Despite a scarce supply of food for people, Kim Jong-Il and his "beautiful hairstyle" have enough to buy an entire fleet of S6 Pullman Guard&apos;s.
Kim is set to be worth over $4 billion, which he keeps in several European banks, primarily in Luxembourg just in case he needs to flee the country. We think he should at least get a haircut if that ever happens.